The LS3/5A does not of course have an extended low frequency response and so inevitably there have been many attempts to use a subwoofer with it. Some have worked well and some less so. The LS3/5A has a bass "bump" to give the listener the impressionthat there is more bass than there actually s and this can make it difficult to integrate a subwoofer. Other users have complained that subwoofers destroy some of the magic of the LS3/5A. The most famous of the LS3/5A bass extenders is the Rogers AB1 which was designed by Andy Whittle at Rogers using the same B110 driver as used in the LS3/5A. Although originally intended that the LS3/5A would stand on top of the AB1, Jo Ki has done a considerable amount of experimentation interfacing the LS3/5A. He much prefers to use them with the LS3/5A on a stand and the AB1 behind it. This has come to be known as Ki's Method. 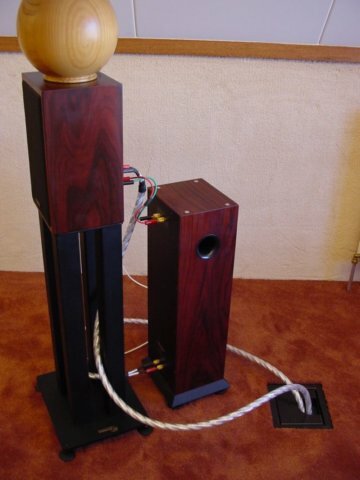 The AB1 has an integral crossover but Jo also prefers to connect both speakers in parallel. Build a pair of bass extenders inspired by the AB1. Andy Whittle kindly supplied a lot of detail about his design to help home constructors. 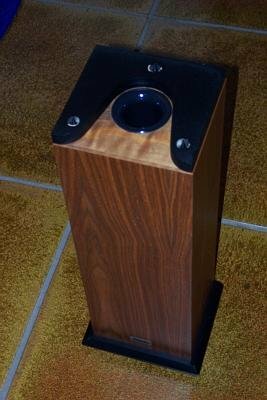 Harbeth made a LS3/5A bass extender which looks very similar to the AB1. Rogers Reference Monitor System. 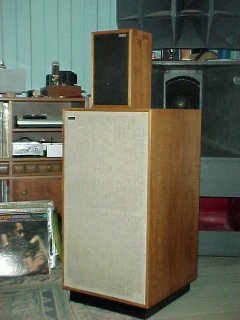 The bi-amplified Rogers Reference system was manufactured from 1978 and consisted of a pair of Rogers L35B 150-litre aperiodic low-frequency enclosures, together with a pair of standard Rogers LS3/5A speakers and the Rogers XA75 electronic crossover amplifier. Few were sold. In 1978 the selling price was £837.56 which is about £3,500.00 at today's prices. More photographs can be found on the Japanese HiFido web site.